A Solution for Flies that Actually Works! Stop pesky flies from ruining your outdoor parties, picnics and more with the Victor Poison Free Fly Magnet. 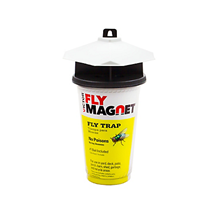 This fly trap is the most powerful and effective solution for getting rid of flies outdoors, with a lure that out-performs competing traps 20 to 1. 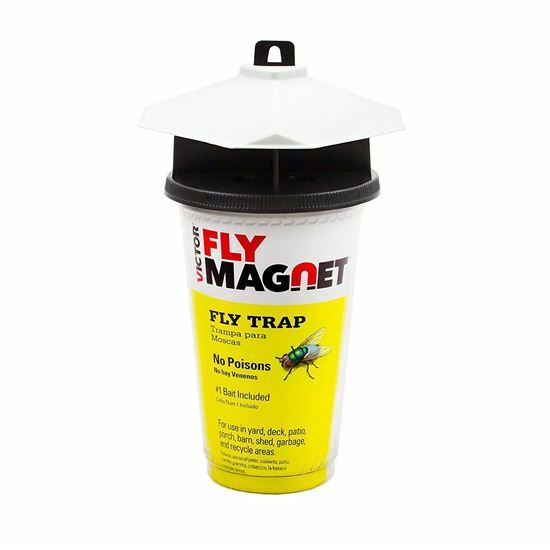 Simply add bait solution to activate, and the Victor Poison Free Fly Magnet attracts and traps flies away from outdoor areas where you live, eat and play.